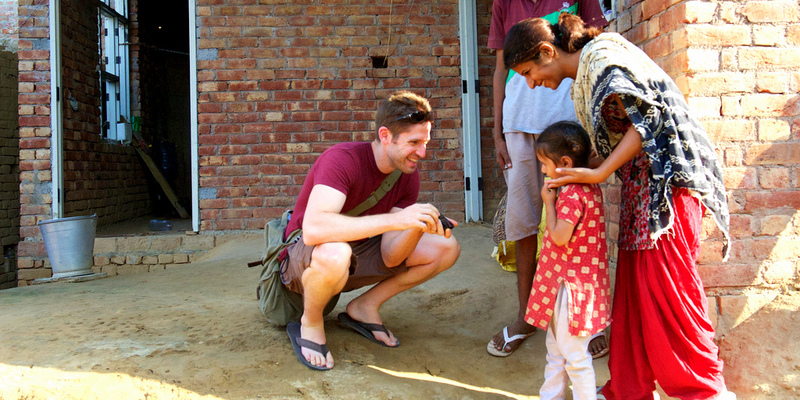 Dr. Eric Brumberger with a child in the village of Sangrur. The Anesthesiology Global Health Fellowship at the NewYork-Presbyterian Hospital/Weill Cornell Medical College is an intensive one-year program focused on providing residency-trained anesthesiologists an opportunity to become world leaders in global health and human rights. We aim to train individuals in both clinical medicine and medical anthropology through an innovative educational curriculum. Our program is uniquely designed to cultivate a career trajectory that allows for clinical excellence, research expertise, and institution-building capabilities. After graduating from our program, fellows have gone on to create global health programs at other institutions as seasoned experts and have stayed on as global health attending anesthesiology faculty at our institution. Flexible combined non-ACGME clinical training (e.g. global health/thoracic anesthesiology fellowship; global health/transplant anesthesiology fellowship). Up to 12 weeks working abroad. A rigorous curriculum in medical anthropology including lectures, workshops, and seminars throughout the year. A research-oriented approach to solution building with research projects sponsored by the Department of Anesthesiology at Weill Cornell Medicine/NewYork-Presbyterian Hospital as well as partner institutions on the ground. Engagement with the United Nations. Research and refugee evaluations with the Weill Cornell Center for Human Rights. Academic teaching for residents and medical students. Clinical experience as an anesthesiology attending at NewYork-Presbyterian Hospital/Weill Cornell Medicine. Training in institution-building by social enterprise experts in New York City, for the purpose of providing fellows the tools to launch their own global health initiatives. An opportunity to contribute to the expansion of our innovative global health and human rights research. In New York City, fellows practice as attending anesthesiologists two days a week in the general operating rooms, supervising residents and/or certified nurse anesthetists. Some of our past fellows have combined their global health fellowship with another non-ACGME training, such as thoracic anesthesia or transplant anesthesia. Fellows also have the opportunity to take call to consolidate their clinical skills and supplement their income if desired. Clinical experience abroad is through our partnering academic institutions on the ground. Here, fellows serve as clinical educators and active observers in the anesthetic management of patients. The focus of their fieldwork is on research projects in collaboration with academic and non-profit organizations. Our programs abroad are distinguished by modules specifically designed to synergistically train physicians about the biosocial factors that impact health. As an example, in our India location, drug and alcohol abuse is a major cause of morbidity and mortality. In learning about these issues, physicians receive a pre-elective primer on the problem, are exposed to patients that suffer from addiction once they arrive in the hospital, and then meet one of the leading rehabilitation specialists in the state who takes them through the largest government rehabilitation facility in the State of Punjab. This multidisciplinary approach allows physicians to achieve a holistic understanding of the issues that contribute to ill health and disease. The core global health curriculum is tailored to the individual physician's academic goals and global region of interest, but as a foundation includes training in clinical medicine and medical anthropology locally and abroad. Our goal is to train physicians how to responsibly and sustainably participate in global health and human rights work. The curriculum therefore uniquely includes modules on major global health theories such as the unintended consequences of purposive social action, human rights and social justice, gender violence and health implications, and global surgery and anesthesia. Steven Feierman, Arthur Kleinman, Kearsley Stewart. Anthropology, knowledge-flows and global health. Global Public Health, 2010. James Pfeiffer and Mark Nichter. What Can Critical Medical Anthropology Contribute to Global Health?. Medical Anthropology Quarterly, 2008. James Colgrove. The McKeown Thesis: A Historical Controversy and Its Enduring Influence. American Journal of Public Health, 2002. Allan Brandt and Martha Gardner. Antagonism and Accommodation: Interpreting the Relationship Between Public Health and Medicine in the United States During the 20th Century. American Journal of Public Health, 2000. Paul Greenough. Intimidation, Coercion and Resistance in the Final Stages of the South Asian Smallpox Eradication Campaign 1973-1975. Social Science and Medicine, 1995. Paul Farmer. Pathologies of Power: Health, Human Rights, and the New War on the Poor. University of California Press Berkeley, 2003 (Chapter 1: On Suffering and Structural Violence). Arthur Kleinman. Four Social Theories for Global Health. The Lancet, 2010. Research within our division focuses on global health and human rights. Some of our major areas of research are with refugee populations both in the United States and abroad. Please see our current research projects, which include our FAER funded research on global health education for physicians in training, NIH funded research on chronic pain in refugee torture survivors, and CTSC funded research on decreasing violence against refugee women through sexual health education. Required components of the fellowship year include leading resident teaching conferences and the interdisciplinary global health journal club, participating on IRB approved research projects with global health faculty, and completion of a mentored academic research project. Fellows are also expected to participate in scholarly activities, presentations at national anesthesiology and global health meetings, and Grand Rounds with the Department of Anesthesiology. Time and financial support will be given for anesthesiology, global health, and human rights conferences such as the American Society of Anesthesiologists meeting, the Consortium of Universities for Global Health Conference, and the Global Health and Innovation Conference, to name a few. Dr. Sonny Sabhlok is the Anesthesiology Global Health Fellow for 2018-2019. Dr. Sabhlok graduated from the University of California, Berkeley and earned his M.D. at the Stanford University School of Medicine. He remained in the Bay Area for residency, completing his anesthesia training at the University of California, San Francisco. After completing his undergraduate degree, Dr. Sabhlok traveled to India where he was injured in a motor vehicle accident that gave him first-hand experience with the rural medical system. Overwhelmed by the significant healthcare disparity, he was inspired to seek out opportunities to address health issues in the developing world. Subsequently, Dr. Sabhlok spent six weeks mentoring teachers at a school in India for developmentally disabled children. He further developed his interest in global health in medical school, where he worked on the development of low-cost medical diagnostics for use within India as part of the BioDesign program at Stanford. Dr. Sabhlok also spent a month-long rotation in a pediatric emergency room in Kampala, Uganda through the Mary Duke Biddle Clinical Scholars program. Once in residency at UCSF, Dr. Sabhlok participated in the Global Health Pathways program, which culminated in the development of a research project interviewing and documenting the health issues amongst female survivors of the 1984 Anti-Sikh Riots in India. Dr. Melanie Witte was the Anesthesiology Global Health Fellow for 2016-17. Dr. Witte graduated from the University of Texas at Austin, and earned her M.D. at the University of Texas Medical Branch at Galveston. She completed her residency training at the University of Kentucky. Dr. Witte’s passion for global health began in medical school when she lived in Costa Rica for a month, taking Spanish classes and observing the practice of medicine in Turrialba. She later took a tropical and travel medicine course at UTMB that further piqued her interest. In residency, she participated in a week-long medical mission trip to Sololá, Guatemala with Children of the Americas, in which she primarily cared for children during orthopedic procedures. After completing residency, Dr. Witte joined a private practice group in Houston, Texas, while continuing medical mission trips to Guatemala. 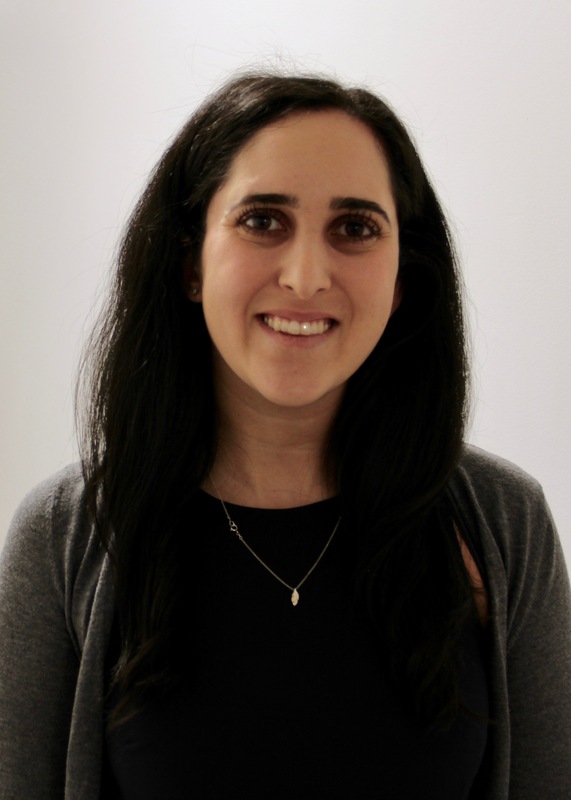 She is delighted to formalize her knowledge in global health and advance her ability to participate in care abroad during her year as the Anesthesiology Global Health Fellow at Weill Cornell Medical Center. Dr. Sheida Tabaie was the Anesthesiology Global Health Fellow for 2015-16. A graduate of the University of Pennsylvania, Dr. Tabaie earned her M.D. at the University of Pennsylvania School of Medicine, and completed her residency training here at Weill Cornell Medical College. Dr. Tabaie's interest in global health issues began prior to her medical training, when she spent five months in Gaborone, Botswana doing HIV/AIDS research. During medical school at Penn, she continued to pursue this passion by taking an Introduction to Global Health Course and a Research & Society in Africa seminar. As a culmination of the seminar, she spent two months in Kampala, Uganda gathering epidemiological data on tuberculosis. 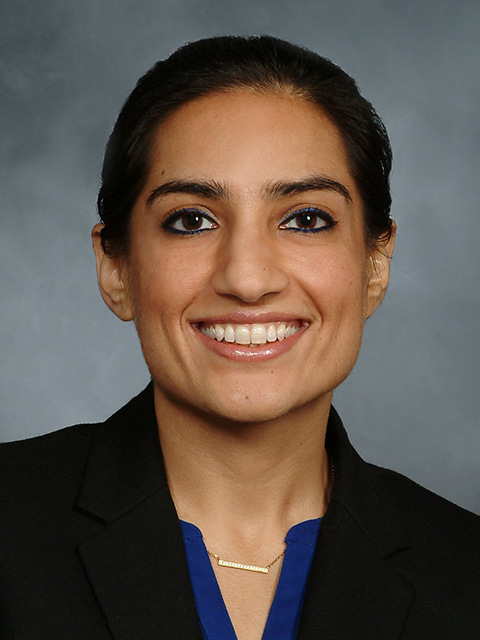 Dr. Tabaie went on to complete an anesthesiology residency and an adult critical care fellowship at Weill Cornell. She participated in a week-long neurosurgical mission trip in Dar es Salaam, Tanzania during her residency and in a month-long critical care elective at Weill Bugando in Mwanza, Tanzania during her fellowship. Applicants must have completed training in an ACGME-accredited program in anesthesiology. Both Board-Certified and Board-Eligible applicants are invited to apply. No prior international experience is required though a demonstrated interest in global health should be exhibited. 4. Personal Statement (limit 1,000 words) – please discuss your interest in global health and prior experience, countries of interest (or state flexibility), research interest areas, and plans after graduation from fellowship. Applications will not be reviewed until all application materials have been received. Applications are due by January 31, 2019. We welcome international applications for the fellowship program. The USMLE is a requirement for international applicants and exceptions cannot be made, given that candidates must be eligible for an unrestricted medical license in order to participate in the operating room experience as an attending anesthesiologist.